This post is written in collaboration with TripAdvisor, all opinions are my own. Visiting Langkawi alone with four children was stressful enough. 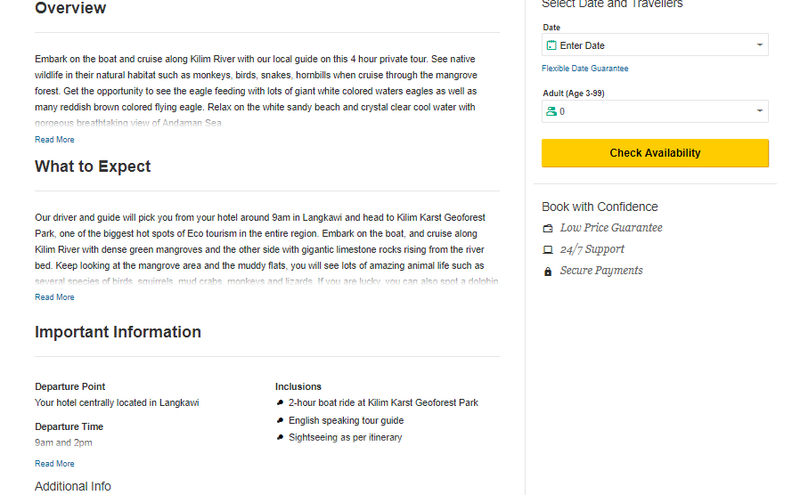 Being in a new location where English is not the native language can make it difficult to book things like attractions. For instance, our trip to the marine park for snorkeling was booked through a little old lady with a fold out table on the side of the road in Pantai Cenang. I could barely understand a word she said and I just forked over the money and hoped for the best. It ended well, but to say the booking experience was easy would be a lie. That is why I was thrilled when TripAdvisor reached out to me about booking a local attraction through their website. All it took was a few minutes (Langkawi Internet is not speedy), and I was well on my way to browsing different activities available through local providers on the TripAdvisor website. 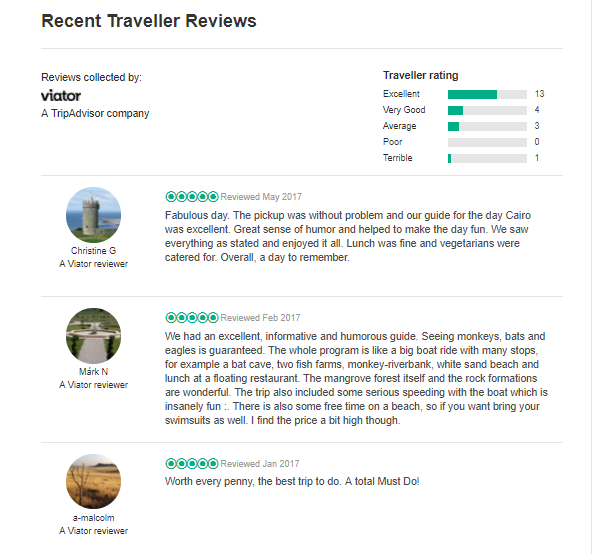 TripAdvisor is actually the world's largest provider of tours, activities and attractions, with over 56,000 bookable experiences in 2,500 destinations worldwide. The boys and I were able to sit in the comfort of our hotel room and go over the different activity options that were bookable with TripAdvisor. Along with a summary of what was included in each tour, we were also able to read reviews from other travelers who had taken the tour in the past. It was a simple one shop stop for local activities. You can book a month in advance or even the day before, and TripAdvisor offers a low cost guarantee, so you don't have to worry about whether you are getting the best deal or not. We eventually settled on a half-day Mangrove Safari Boat Tour for our activity, which is one of the most popular things to do in Langkawi. Booking was a breeze through the TripAdvisor check out system. I booked the day before we were supposed to leave on the boat tour, and received an email right away from TripAdvisor confirming details. I received another not long after that letting me know that our tour was confirmed with the operator Fauna Flora Eco, and when to meet them outside of our hotel the next morning. On the morning of the tour, our van arrived right on time, and we road with the other passengers to the jetty on the other side of the island which is the entrance to the Mangrove area. There are bathroom facilities here, so take advantage of them as you will not see another restroom until your stop for lunch. After our guide explained a bit about the Mangrove area and its formation, our first stop was at a local fish farm. Here, the boys got to hold a horseshoe crab, pet a sting ray, a shark and learn about other local marine life. Our next stop was to an area that was once used for charcoal production. Just the remains of the facilities are still barely visible, as it is no longer used to make charcoal. Now, a group of macaque monkeys have made it their home. A stop was then made for some eagle watching. This was a breathtaking experience, with dozens of eagles swooping down into the water to catch their meals, soaring overhead and perched in nearby trees. There are several species of eagles here, and we enjoyed watching them for quite a while. The next area we headed into was a deeper mangrove forest. In the tight waterway channels, we passed several neighboring families of monkeys before making a stop to visit the bat cave. It is labeled the bat cave because of the large population of bats that have made it their home. You can rent a flashlight to better view the bats at the entrance, and although the cave is small, it is a fun experience. While walking on the wooden walkways be careful to watch your items closely. The mischievous monkeys who live here will take anything they can get their hands on, including one woman's pack of Oreos. Our last formal stop on the tour was to have lunch at a floating restaurant dock. The food was good and simple. There was chicken soup and spring rolls followed by a meal of fried chicken pieces and rice, with fruit for dessert. Once our meal was over, we spent a bit more time touring around the mangrove area, past the entrance to the Kilim Karst Geoforest Park and out to sea briefly before returning to the jetty. While our mangrove safari boat tour would have been enjoyable under any circumstances, it was made even more enjoyable and effortless by booking quickly and easily through TripAdvisor. From now on, when we visit a new location, TripAdvisor will always be my first stop when shopping for attractions and tours. 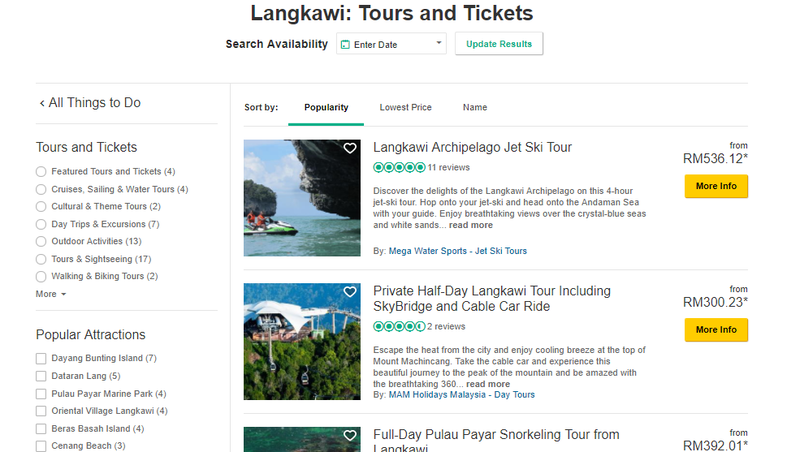 To book your local tours, activities or attractions today, visit TripAdvisor.com.